Although Greek philosopher Aristotle described seasonal changes in animal behavior in his ‘Historia Animalium (History of Animals)’ in 350 BC, its underlying mechanism remain unclear. In this paper we uncovered the underlying mechanism of seasonal changes in stress response using medaka fish, an excellent model for studying seasonal adaptation. 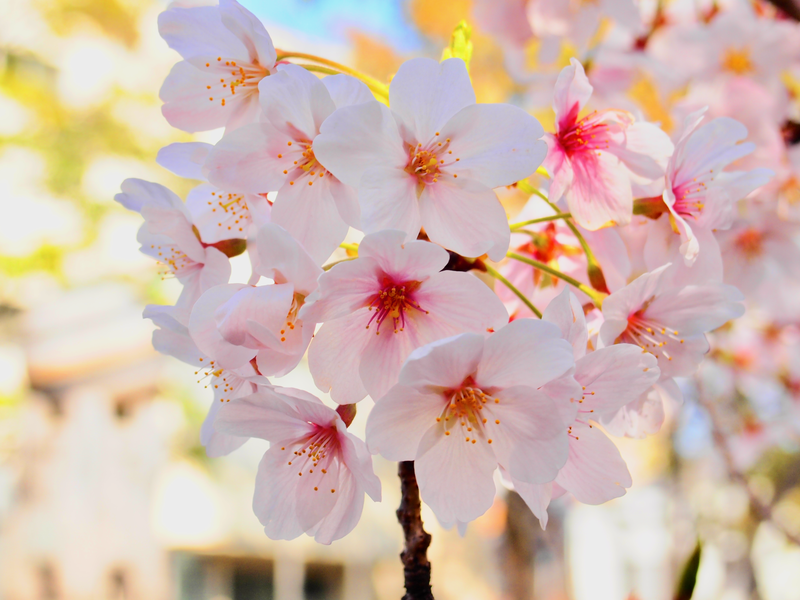 Cherry blossoms, known as sakura in Japanese, are one of the most famous flowers in Japan (Fig. 1). When winter comes to an end and temperatures begin to rise, sakura start budding. When sakura are in full bloom, Japanese know that spring has arrived. Alongside the weather forecast on TV, you can also see “Sakura kaika zensen,” the cherry blossom forecast. Because the blooms of this tiny flower only last for a short time, most Japanese watch this forecast with great interest and anticipation. They prepare for a traditional event called “Hanami” to see these beautiful, short-lived sakura blooms and also to enjoy drinking alcohol beneath the sakura trees. Spring is an exciting time in Japan. Figure 1. Sakura in full bloom in spring. Not only humans, but also plants and animals become more active in the spring. Most plants sprout new leaves, and birds and insects become more active. But how do plants and animals sense and adapt to seasonal changes? This is one of the main questions in our lab headed by Prof. Takashi Yoshimura. Previously, we used Japanese quail (Coturnix japonica) to address questions of seasonality. Because its reproductive state changes drastically between seasons, quail is an ideal model to study seasonal adaptation. Our lab has identified the mechanism of how quail sense spring in the brain and start breeding. We and others have also shown that a similar signaling pathway exists in other seasonal breeders, including mammals and big fish. Although quail is a great model to study seasonality, there are limited genetic resources, and it is nearly impossible to manipulate its genes. Because of all the fantastic genomic resources for Japanese medaka (Oryzias latipes), especially in Japan, our lab started using this fish to study seasonality (Fig. 2). One big advantage of medaka is that genome editing is firmly established, so we can easily make knockout medaka. In addition, our lab is located in the National Institute for Basic Biology (NIBB), which is the primary resource center in Japan for all things related to medaka. Figure 2. Japanese medaka Oryzias latipes. Using this model for studying seasonal adaption, we wanted to understand how medaka sense and adapt to spring. Similar to quail, reproduction in medaka can be manipulated by photoperiod. 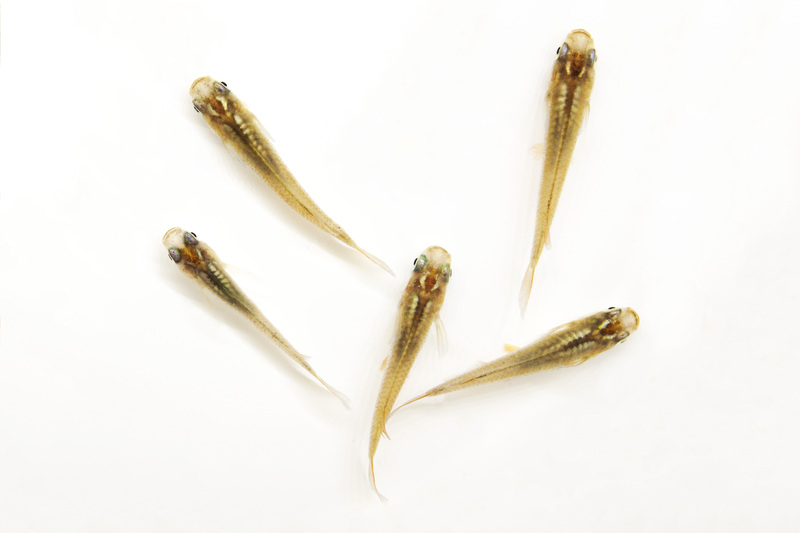 If medaka are kept under short-days, they do not breed; however, if they are transferred to long-days, they will start to breed within two weeks. NIBB Assistant Professor Tsuyoshi Shimmura (now Associate Professor at Tokyo University of Agriculture and Technology) initially led this project (Fig. 3, left). He and his colleagues collected brain samples during the transition from short- to long-day conditions and performed transcriptome analysis. They found that an uncharacterized long non-coding RNA (lncRNA), later called LDAIR, was strongly induced and rhythmic after the transition to long days. I joined the lab as a Ph.D. student after the discovery of LDAIR, and my main task was to characterize its function (Fig. 3, right). I learned the CRISPR/Cas9 technique from Dr. Yusuke Takehana and Prof. Kiyoshi Naruse at NIBB, and we generated LDAIR knockout medaka. Since reproduction is the most obvious phenotype, we were hoping that LDAIR would be involved in seasonal reproduction. However, this was not the case. We did not find any reproductive differences between wild-type and knockout medaka. This worried me greatly at first, but eventually I realized that we had to move on. We then looked to the transcriptome data. We performed DNA microarray analysis and found that expression of a number of genes close to the LDAIR locus including corticotropin-releasing hormone receptor 2 (CRHR2) were significantly different. It is well-known that CRHR2 regulates some stress responses, so this data encouraged me to examine stress-related behaviors. Fortunately, we found several differences in behavior between wild-type and knockout medaka. After additional analyses, we were able to conclude that LDAIR regulates seasonal changes in the stress response. Although there were detours and setbacks on this project, it was a good learning experience for me, and I realize now that research does not always turn out as you expect. Interestingly, it has been reported that lncRNAs exist about the similar number to protein in mammals, and most of their functions are still unknown (Hon et al., 2017). Because lncRNAs are involved in seasonal adaptation in plants (Swiezewski et al., 2009; Heo and Sung, 2011), we speculate that other lncRNAs may also regulate environmental adaptation in animals. Figure 3. 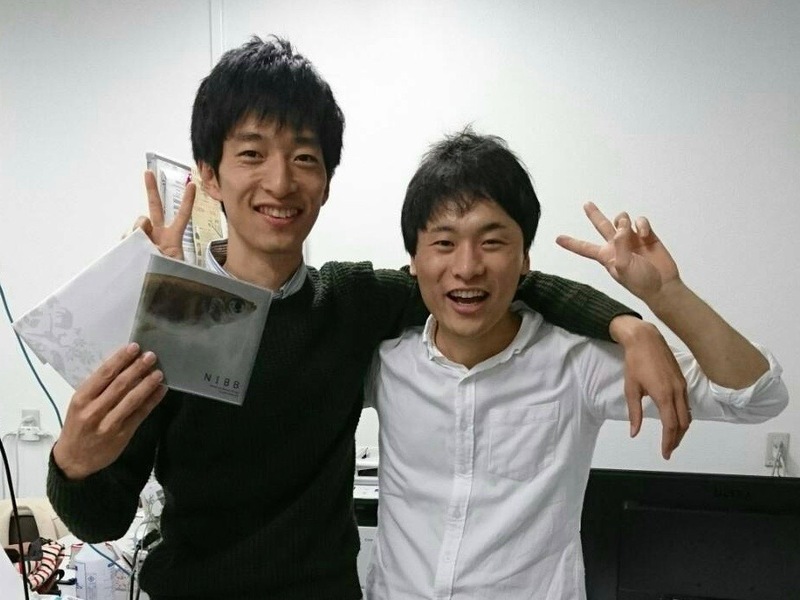 Dr. Tsuyoshi Shimmura (left) and myself (right, Tomoya Nakayama). 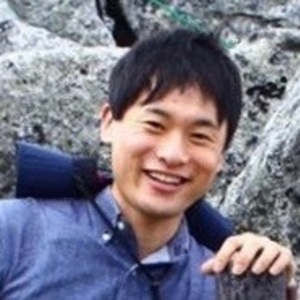 This paper is published in Nature Ecology & Evolution by Tomoya Nakayama, Tsuyoshi Shimmura, Ai Shinomiya, Kousuke Okimura, Yusuke Takehana, Yuko Furukawa, Takayuki Shimo, Takumi Senga, Mana Nakatsukasa, Toshiya Nishimura, Minoru Tanaka, Kataaki Okubo, Yasuhiro Kamei, Kiyoshi Naruse and Takashi Yoshimura. This paper in Nature Ecology & Evolution is available here.